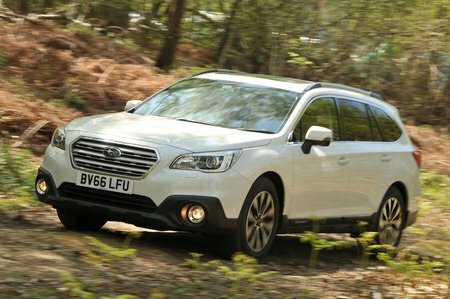 Subaru Outback 2.5i SE 5dr Lineartronic 2019 Review | What Car? We'd stick with SE, which gets a 6.5in infotainment screen, sat-nav, climate and cruise controls, LED headlights, a rear-view camera, heated seats, automatic wipers, an eight-way electric driver's seat and keyless entry and go. Quiet and smooth, but a large petrol engine in a car as big and heavy as the Outback doesn’t make sense in terms of fuel economy.